We always have a thread for general discussion about the group that isn’t related to each specific game - squad selection discussions, results in the rest of the group, etc. Each game will still have its own thread. 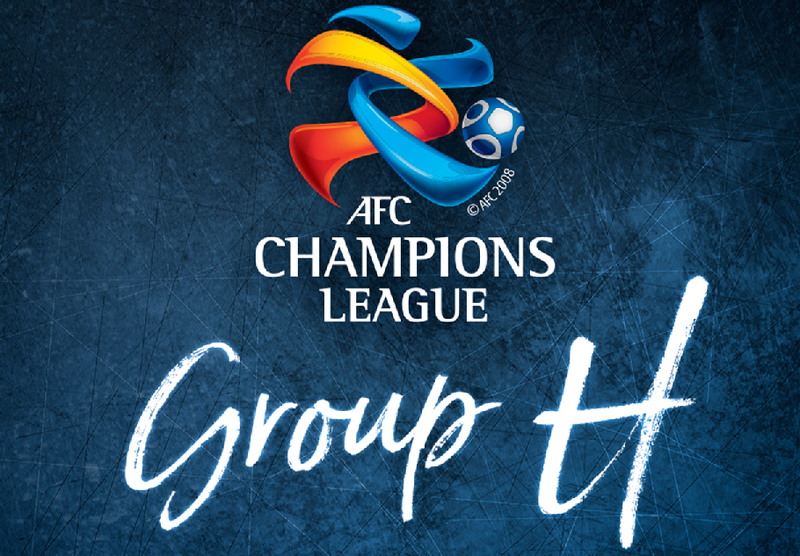 Everything you need to know about Sydney FC’s 2019 ACL group stage, including our squad, opponents and schedule. 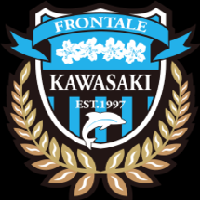 Kawasaki Frontale won the J-League last season, taking the second league title in their history. Kawasaki have been in decent if unspectacular early season form with 2 league draws and a 1-0 win over regular Champions’ League contenders Urawa in the Japanese Super Cup. It seems like Kawasaki won the J-League last season through defensive solidity, conceding only 27 goals in 34 matches. No doubt goalkeeper Jung sung-ryong played a large part in that. He has 67 South Korean caps and won the ACL in 2010 with Seongnam. Jung sung-ryong made the J-League team of the season last year, along with 3 of Kawasaki’s defenders and 3 of Kawasaki’s midfielders. Of those 6 other players, 5 of them are still at Kawasaki, including their central defensive partnership. Our attack will likely have their work cut out for them penetrating that backline. The Kawasaki team has a decent spread of Japanese internationals, with 108 caps over 10 players. There’s a couple in particular who are worth watching. Kengo Nakamura has 68 Japan caps in central midfield and, though he is 38 years old now, he still played 33 games last season and scored 6 goals. In fact he has spent his whole career at Kawasaki, racking up well over 600 games for them. Yu Kobayashi is a Japanese striker with 14 national team caps. He has scored 92 goals in 228 league games for Kawasaki, including 15 last season and 23 the season before that. No doubt stopping him will be a large part of our defence’s duty. In terms of other players to watch, Leandro Damiao is a Brazilian import with 17 Brazil caps and 3 goals. He spent most of his journeyman career in Brazil and was a regular goalscorer there, if not an entirely prolific one. Shanghai SIPG won the Chinese Super League last season, which was their first ever league title. SIPG have been in strong early-season form, winning the Chinese Super Cup 2-0 over Beijing Guoan and winning 4-0 in the Shanghai derby. The headline players from SIPG are their three Brazilian forwards in Elkeson , Hulk and, most famously, Oscar . Oscar and Hulk both have 47 caps for Brazil, with a combined 23 goals for the national team. Oscar played over 100 games for Chelsea before going to China, while Hulk had a great career at Porto and Zenit, scoring prolifically at both clubs. Elkeson is a bit more of an unknown, however. He has spent a lot of his career in China, where he has been prolific; he has scored 88 goals in 131 games for Guangzhou and SIPG combined. He also has 29 goals from 56 ACL games, demonstrating that while he isn’t as famous as the other two, he is just as much of a threat at this level. Odil Ahmedov is SIPG’s Asian import player, with 92 caps and 18 goals for Uzbekistan, including in the most recent Asian Cup. He had a good career in Russia before going to China. 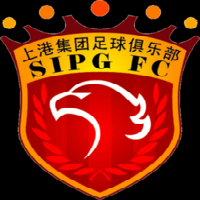 Other than these import players, SIPG have a fairly young squad of Chinese players, with a fair few sporting low numbers of national team caps. The standout Chinese players seem to be Yan Junling , the keeper for the Chinese national team, and Yu Hai , who has 71 caps for China and 11 goals, despite playing at left back. Given the strength of SIPG going forward, it is likely that we will be forced to sit deep and hit them hard on the counter, particularly given that their defensive line does not boast the quality of their attacking line-up. This is quite likely given that they won the league despite conceding 33 goals in 30 games. It does help that the finished with 77 goals, however. 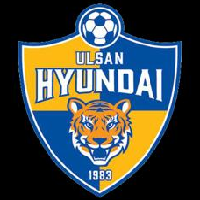 Ulsan Hyundai came third in the K-League last season and advanced into the ACL group stage by defeating Malaysian club Perak FC in a play-off. That was a comfortable 5-1 win. The only other game they’ve played this season was a 2-1 win over Suwon Bluewings. The main attacking player for Ulsan is Junior Negrao , a journeyman Brazilian striker who scored 22 in 32 games last season, making him the league’s third highest scorer. The club’s other 39 goals last season were spread among a variety of players, with no one else cracking ten goals for the season. Dave Bulthuis is one of their other foreign players who is worth paying attention to: the Dutch centre back was starting regularly for Heerenveen in the Dutch top flight as recently as November, and thus comes with a good pedigree. However, it is in their domestic talent that Ulsan really shine. Ulsan can boast 211 caps across the 7 players who have played for the Korean national team. Lee Keun-ho has 84 of those caps, scoring 19 times for Korea as a forward. He won the ACL with Ulsan in 2012 and has now come back to the club. Keen watchers of German football might be familiar with Park Joo-ho , who plays as a left-back for the Korean national team. He spent 5 years in the Bundesliga with Mainz and Dortmund before returning to Korea last year to play for Ulsan. Finally, there’s Kim Yong-dae , who has 21 national team caps as a goalkeeper. Wikipedia says that he is nicknamed Yong Der Sar, which should give you some idea of the quality Korean fans think he has. Thanks for that information. We’re fucked. You really are a glass three-quarters empty type of guy, aren’t you? Also known as a being a football fan. I’ve no idea how we’ll go in this group, wouldn’t be surprised with any outcome. Great write-up mate, I reckon we’ll do our usual glorious failure bit where we have an opportunity to progress but miss out on goal difference. We do surprisingly well in the away legs of these groups, so much like Sinjin, I wouldn’t be surprised by any outcome other than taking 18 points from 6 games. Seems like the more heavily stacked the odds are against us in this competition, and the more daunting (lets be honest and say straight out scary) the opposition, the logistics, the travel, etc look, the better our results are. Conversely whenever it looks like we might achieve something, like actually getting out of the group we don’t. Last seasons Championship team looked to have the goods to achieve more than any previous Sydney outfit and surfed into the the comp on a wave of optimism, only to be slammed by the realities of Asian football. So who knows? Perhaps the more measured lead up to this years Comp, and the muted aspirations might lead to unexpected successes? Be lovely to think so, but more likely to be a hair raising, white knuckled roller coaster ride, with the Blues being chucked off on the last ride. My expectations are normally a few wins including a nice away win and not finishing last in the group. Talk that Sydney and MV need to really perform this ACL or the AFC will look to relegate the A-League to 1 automatic spot. Whatever the case, I hope our ACL performance overall is better than that of the Pure Evil down south. Just like every other ACL year, we really need to start well. We’re much more match fit than the other teams in the group at this point and really need to impose ourselves on these games. It should, and probably will, get much harder as the group goes on and the other teams get their match fitness back. I don’t buy that about match fitness. The flipside is the other side have had weeks or months to prepare for this game without other matches getting in the way. That first game last year was a good indicator. They knew exactly what they had to do to stifle us and were very well drilled to do that. One of the joys of the ACL is the realisation that A-League referees are not the worst in the Asian Confederation. Of course they aren’t. Don’t you know Chris Beath is one of the best referees in the world? Unfortunately, the Victory have just taken the lead against Daegu thanks to Toivonen. Does anyone know the $30 two tickets password? seems to not be working when doing it auto on website like it says it should on our twitter. Daegu equalise straight away. Cesinha with a screamer from outside the area. 1-1. Due to Australia’s parlous state in terms of ACL spots in future, we unfortunately have an interest in them doing well. Still, emotionally we have the usual interest in watching them being naive time and time again. Jets play their qualifier tomorrow against Persija Jakarta. I thought I’d make a thread for discussion of their campaign and also Melbourne’s campaign when that rolls around. Didn’t see that thread until now. Can the thread title be changed? General Discussion is a bit misleading, to be honest, if we’re talking about just our group.